Beazley Design Ltd - architectural design. ph 4383277 or 021 130 3118. Two Architects - Your local architect. New houses and baches, alterations and additions. Pre-purchase feasibility, concept and documentation. No obligation on site discussion and coordination with builders. Building design and architecture, civil and structural engineering, stability and subdivision reports, effluent disposal and environmental engineering, stormwater design and flood assessments. Local resource management planning consultant, for the preparation and management of resource consent applications and assessments - new houses and additions, boatsheds/ramps, jetties, subdivisions, commercial/industrial development. Supplier and installer of new roofs, re-roofing, spouting and roof coatings, roof repairs. 20+ years experience, and $35/hr rate. Retaining, decks, paving, plastering, concreting, outdoor rooms, fireplaces, furniture, all carpentry, tiling, and gibstopping. Outdoor Edge - provides you with a wide range of options to enhance your home and outdoor living space, with glass and aluminium balustrades, glass and aluminium pool fencing, aluminium privacy screening, and aluminium property fencing. Small commercial, new houses, alterations, spouting, downpipes, all maintenance. Free quotes. Providing guaranteed workmanship, special rates for pensioners. Specialising in new residential, complete maintenance and repairs, and water pump sales and service. Ph Daryl 0212744493 or 4344034. For new houses, alterations, and decks. Guaranteed quality workmanship, obligation free design and quote with computer imaging. 177 Lower Dent St, Whangarei. Drainlaying, sewage systems, water tanks. Residential and commercial; interior, exterior and roof; cedar staining; airless and conventional spraying. Local licensed builder available for all work. Well organised, great design ideas. 30 years experience. Specialising in renovations and alterations. For all glass requirements including insurance repairs, domestic and commercial, mirrors, on site repairs, cat doors etc. Reasonable rates, satisfaction and quality workmanship guaranteed. Friendly personal service. Local builders doing local work for the last 20 years. Certified and licensed. Experienced builder and project manager (qualified LBP in Carpentry & Site 2). Contact Garry for an estimate for new builds and renovations. Glowing references available. Kerry's Komputers - for computer repairs, security camera sales and installation, VHS to DVD conversion, and network solutions. Cocurullos -Computer technical support at your doorstep when you need it. Computer and mobile maintenance and support service. Residential and commercial. Steve's PCs is a home-based computer repair business. I started in Dunedin about a decade before I moved to the Tutukaka Coast in 2010. 31 Kaiatea Rd, R D 3, Ngunguru. Ngunguru Food Mart - your community store. Ph 4343858. Weekly and in-house specials, Lotto, bait, fishing gear, party ice, beer, wines, spirits, RTDs, postal services, veges, groceries, cold drinks. Glenbervie. Fresh veges and fruit, as well as drinks, frozen foods, honey, grocery items, ice cream, bread and milk. Open 7 days 7 to 7. Dairy, takeaways, groceries, bait, beer, wine, Allpress coffee, cold drinks, icecreams, ATM, internet, DVDs. The longest standing family-run dive company around; professional crew, and passionate about the environment, and our community. Dive! Tutukaka and Perfect day cruises. All your sport fishing requirements. By the hour, day or multiple day trip. Shed facilities, vessels up to 30 tonnes, catamarans, etc. For all marine maintenance and antifouls. 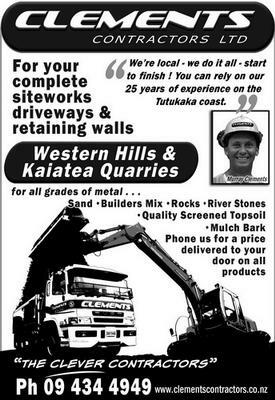 Tutukaka Coast Electrical Services- Electrical and appliance service. Domestic, farm, commercial and marine. Wiring or repairs and pumps are a specialty - new, used or servicing. New home installations and automation, commercial and industrial, installations and rewiring, home theatre installations, guaranteed workmanship, all work completed to a high quality. We are a 100% local private company who specialise in electronic security monitoring, with services ranging from alarm installation to security cameras and messaging services. Investment advice, share trading, portfolio management, fixed interest, debentures, Kiwisaver, superannuation, personal insurance. Courier and general freight, daily service to Tutukaka Coast, weekly service to and from Auckland, as well as Trademe pickups. Shopnz.com Kiwiana Gift Store - Tutukaka Coast souvenirs, New Zealand souvenirs, Kiwiana, skincare, toys, All Blacks gifts, greenstone, paua and bone jewellery, and lots more. Buy online or come in to view. Earn Flybuys points with your purchases! Toots Timber and Hardware- Building and hardware supplies, fishing tackle and supplies, household items, paints, varnishes, stains, plants and gardening supplies, bulk bark, metal, sand, compost, builders mix; plumbing supplies, hire equipment, gifts, keycutting and more. (During winter, closed on Sundays from 1 May to 1 Sept). Massage therapists, beauty therapists, personal trainers, lash extension technician - all working together to provide you with wellness on the Coast. We treat back and neck pain, sports or work injuries and also joint and muscle disorders. Tutukaka Coast Chiropractic - Spine and joint problems? Chiropractor Dr Andrew Wallis treats most conditions. ACC Registered. Ph 4344654. For facials, massage, waxing, manicures/pedicures, brow/lash tinting on the Ngunguru Waterfront (next to Ngunguru Store). Your beauty and massage specialist in Tutukaka. Health and safety partnership for your workplace. Systems management, auditing, dispute resolution, coaching. By Tikipunga roundabout. Ladies, men and children all welcome. Wash and cuts, clipper cuts, colours, perms, sets and blow waves, and much more. Make up styling for fashion, events and weddings. Make up for special events and weddings. 16 years experience in fashion, film and personal make up services. Local friendly service and reasonable rates. Rob Allen - waterblasting, painting, general garden sculpting and pruning, cartage. Professional carpet cleaning using biodegradable products. Dry carpets guaranteed, stains treated, stairs and mats cleaned too. Family and pet safe. Locally based in Tutukaka. 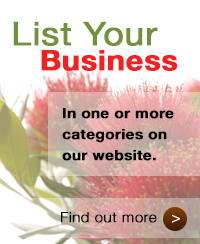 Blue Nikau Landscaping - "finest landscapes for the finest homes". 25 years of coastal garden experience, full landscape design service, construction, plant sourcing, planting and maintenance. Ph Ben Edgar, ph 4343077 or 021 773 362. Clements Contractors -For all grades of metal, plus sand, builders mix, rocks, river stones, quality screened topsoil, mulch bark, as well as complete siteworks, construction of driveways, retaining walls, even water deliveries. Wal's Diggers, Holes and Bobcats -Diggers, tip trucks, hiab truck, water tanker, holes to 13m deep, tree and scrub mulching, concrete and rock breaking, all grades metal, topsoil and scoria, pot hole and corrugation removal, retaining walls, water tank vacuum, fill, repair and sanitising. Coastal and subtropical plants and trees. Operating in Glenbervie and Tutukaka. For all your aggregate needs and bulk haulage, farm development, and driveway work. For hire: trucks, diggers, bulldozers and scoop, grader and roller. Acer Property Services - quality timber work for your landscape. Property maintenance and handyman. Based in Ngunguru. Free, no obligation quotes. Call Arjan on 021 121 8625 or 4343273. Northland's leading native plant nursery. Wide range of quality plants at wholesale prices. On site advice available. Tree removal, chipping and mulching, pruning and maintenance, stump grinding, deadwood removal, hedges, crown lift and reductions, formative pruning, crane hire, palm shaping. Landscaping, lawns mowed, trees pruned, hedges trimmed, garden furniture, sculpture and stump carvings. Professional friendly workmanship at a no frills price. Lawn mowing, section tidying, maintenance. Call us for a free quote. Dave Sackfield, ph 4344570. Procut Lawnz is a locally owned family business that focuses on keeping your lawn and grounds well maintained. WRMK Lawyers is the largest law firm in Northland. We boast a strong reputation among Northland communities and place importance on communication and accessibility with our clients. 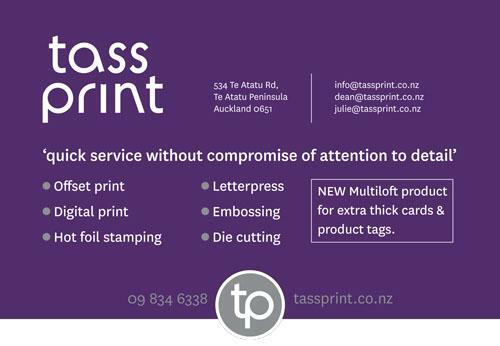 Tass Print are a family owned and operated print company who have operated for over 40 years. We offer excellent service on letterpress print and old school special embellishment work that has enjoyed such a resurgence recently, as well as offset and digital print. We are a medium size customer focused team that love print, be it personal jobs or large commercial challenges. we proudly and expertly operate 3 Heidelberg Letterpress presses, 1, 2, and 5 Heidelberg Offset presses and 3 modern Digital presses. We pride ourselves on supplying an easy, friendly, quick process with environmentally friendly options without compromise of attention to detail. As well as photocopying services, we can turn your favourite pic into a ready to hang stretched canvas. The natural choice, incorporating "The Wild Woods". Unique Wild Woods programme, nature-based curriculum, secure healthy rural site, nutritious meals and snacks, qualified and caring staff. Creative design and quality printing. Fast quotes, no hidden costs, offset and digital printing, full graphic design service, all work produced in-house. Bayleys Tutukaka Coast - Call Penny Kempton for a free, no obligation appraisal. Sandersons Realty Ltd- Where everything goes just the way you want it to. When thinking real estate, think Sandersons we get the job done! Ph Debbie Weatherup 4344191 or 021 932 802 or Shelley Anderson 4344191 or 021 745 727. 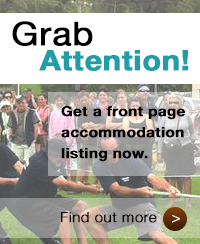 Tutukaka Real Estate - locally owned and operated. Ngunguru Sports Complex, Kopipi Cres, Ngunguru. See our blackboard menu for daily specials and home cakes and pastries, as well as our famous pizzas. Takeaway or dine on our over the water deck. Located at the end of the carpark, at the Tutukaka Marina Office building. Great fish and chips, best burgers. Phone orders welcome. Coffee, hot bread baked daily, breakfast, lunch, dinner, pizza and pasta. Open 7 days, fully licensed. 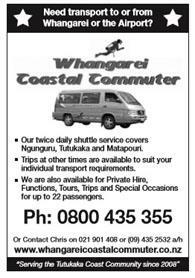 Twice daily shuttle service covers Ngunguru, Tutukaka and Matapouri. Trips at other times are available to suit your individual requirements. Also available for private hire, functions, tours, trips and special occasions for up to 22 passengers. Custom made, repairs, restorations, used boards. Sky approved technician, satellite dish installation, digital installation, pre-wiring. Vehicle service, WOF, tyres, brake overhaul and machining service, GT radial tyres, Century batteries. Tastings and tours by appointment. Your local professionals for all your domestic and rural water needs. We supply pumps, filtration systems, tanks, filters, pipe and fittings. We service all makes and modesl too!